Ever since it was announced in February that Spider-Man would be indoctrinated into the Marvel Cinematic Universe, superhero fans have been speculating as to who might play the new web-slinger. It looks as if the speculation is over, as Marvel announced this week that the new Spider-Man will be played by 19-year-old Tom Holland, and the director of his first solo movie will be Jon Watts. Our new Spider-Man: Tom Holland. Now I know for a lot of people, these additions raise a lot of questions and concerns. Why is Spider-Man getting recast? When will we first see him? Where did these guys come from? Luckily, a lot of these questions have already been answered, so let’s dive into the details of our new Spider-Man! Who: Tom Holland is a 19-year-old British actor who, up until this point, was fairly unknown. Some of his most notable works include a run on the musical play Billy Elliot, and in movies such as The Impossible and How I Live Now. He also has a role alongside Chris Hemsworth in the upcoming Ron Howard movie, In the Heart of the Sea. The director, Jon Watts, is even more of a question mark. He’s most notable for his movie, Cop Car, which premiered earlier this year at the Sundance Film Festival. It has yet to be released to the public, however. When and Where: The ‘What’ question has pretty much already been answered, so let’s continue with when we’ll see these two at work and where. While most outlets (myself included) assumed that Spider-Man would first appear in Captain America: Civil War, the story was never confirmed until a few days ago. In an interview with Marvel Studios president Kevin Feige, The Hollywood Reporter appeared to confirm Spider-Man’s presence in the third Captain America movie. Holland is scheduled to report to the set immediately, as filming for the movie continues in Atlanta. Captain America: Civil War arrives in theaters May 6, 2016. However, we’ll have to wait a little while longer to see Spider-Man appear in a solo film. Directed by Jon Watts, Tom Holland’s first standalone Spidey movie hits theaters July 28, 2017. Why: The rights to Spider-Man still belong to Sony, but since he’ll now exist in the MCU, the wall-crawler absolutely had to be recast to fit continuity. While it’s a shame we won’t get to see Andrew Garfield as Peter Parker anymore, Tom Holland has a chance to become the “definitive” Spider-Man in the same way Hugh Jackman is considered the “definitive” Wolverine. 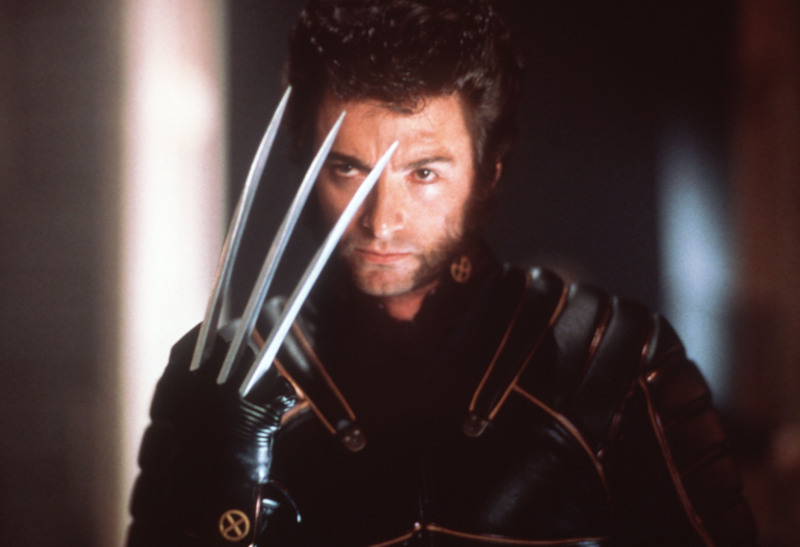 Hugh Jackman’s first appearance as Wolverine in 2000. First of all, let’s address the elephant in the room: Tom Holland is a really young actor. Not only is he 19, he just looks young. Fear not, because there is a purpose to this. With this reboot, Kevin Feige has said that even though we won’t see his origin story, this Spider-Man starts off in high school. “There is a young kid [already] running around New York City in a homemade version of the Spider-Man costume,” Feige said. “You just don’t know it yet.” That makes sense seeing as Spider-Man originally got his powers in the comics when he was only 16. Tom Holland’s age allows for a long run of films that could follow his character all the way through high school, college, and maybe even past that. We could see Tom Holland’s Spider-Man in a Hugh-Jackman-like run of movies that lasts 17+ years. But out of all the young actors in the industry, why Holland? For the best answer, we’ll have to wait until Civil War comes out, but it is important to note how he got the role. In addition to standard screen tests, Tom Holland also reportedly had to test alongside Robert Downey Jr. and Chris Evans. If Marvel and Sony think Tom Holland can act on the same level as those two, than we may be in for a pleasant surprise. Who wouldn’t love to see a Spider-Man in high school bantering with Tony Stark?? That brings us to director Jon Watts. In my opinion, he’s an even bigger wildcard than Holland. From what’s being reported, it sounds like this choice was very much a “Marvel” choice. I know it’s easy to think something like, “How could they put this inexperienced director in charge of a multimillion dollar franchise?” But let’s not forget that the Russo brothers helmed one of Marvel’s most popular standalone films, Captain America: The Winter Soldier, and their biggest credits before that were a few episodes of Community. Between Tom Holland and Jon Watts, there are plenty of reasons to be hopeful here. What do you think of the latest Spider-Man news?